Marketers have greater opportunities to reach target audiences today than ever before. There are endless ways to engage with prospects and customers thanks to the plethora of marketing channels, solutions, and approaches now available. And, when it comes to marketing analytics, the volumes of data these tools generate provide immense value – but that’s only if marketers can access all of the data required to get an accurate, holistic view of the business and then transform it into actionable intelligence. Harnessing the power of data-driven insights requires the ability to quickly and easily access large amounts of data in multiple formats, across disparate systems. Unfortunately, as with other analytics domains, many marketing departments are still plagued by “dark data,” resulting in data retrieval challenges and forcing marketers to make strategic business decisions based on incomplete information. Data that provides the most analytical value has traditionally been locked away in multi-structured or unstructured documents, such as text reports, web pages, PDFs, JSON and log files. The only way for marketers to use this information has been to manually rekey and reconcile the data, which are time-intensive and error-prone processes. Because the data is often deemed inaccessible, or not accessible in an acceptable timeframe, these information sources are too frequently “written off” or simply forgotten altogether – and hence, dark data is born. As a result, marketers only see part of the picture. The good news is that self-service data preparation technologies are taking data out of the dark ages. With this technology, marketers can quickly and easily access data from virtually any source, including dark data housed in previously inaccessible multi-structured and unstructured documents, and then prepare, manipulate, enrich and blend it for use in marketing analytics tools. Users gain fast access to not only the right data but all of the data, needed to enhance decision making and deliver business value. Discovering and accessing marketing dark data can fill in the blanks and provide critical intelligence for improving performance and maximizing ROI on marketing dollars spent. Here’s a look at five marketing dark data sources that will increase insight and enhance analytics. Salesforce Data Trends Over Time – Running a Salesforce query results in a snapshot of current data, but marketers need a bigger picture – one that lets them see things like how marketing leads and opportunities have been converting over the course of the quarter, or how the sales pipeline has been trending. Marketers must be able to take a daily snapshot report and have the ability to automatically and easily aggregate this data to see what is happening, and how marketing efforts are creating impact. Lead Segmentation Data – Every day, marketers ask themselves if their campaigns are engaging target audiences and attracting new audiences for additional business opportunities. Accessing and using web data in marketing analytics can help provide responses to these outstanding questions. Comprehensive Spend Analysis – As a best practice, marketers should be appending data from financial systems to analyze marketing program spend over time with the assurance that all costs are being counted. Bringing in prior months of reports from financial systems and blending them with CRM data can help monitor key metric trends like customer acquisition cost and marketing percentage of customer acquisition cost. Competitive Benchmarks – How does marketing spend as a percentage of revenue compare to the competition? How does revenue growth compare over that same period? Extracting this data from quarterly financial reports like a 10Q report from Edgar can provide much needed added insight. This approach can also be used when evaluating brand and influencer awareness, and audience engagement on social media. 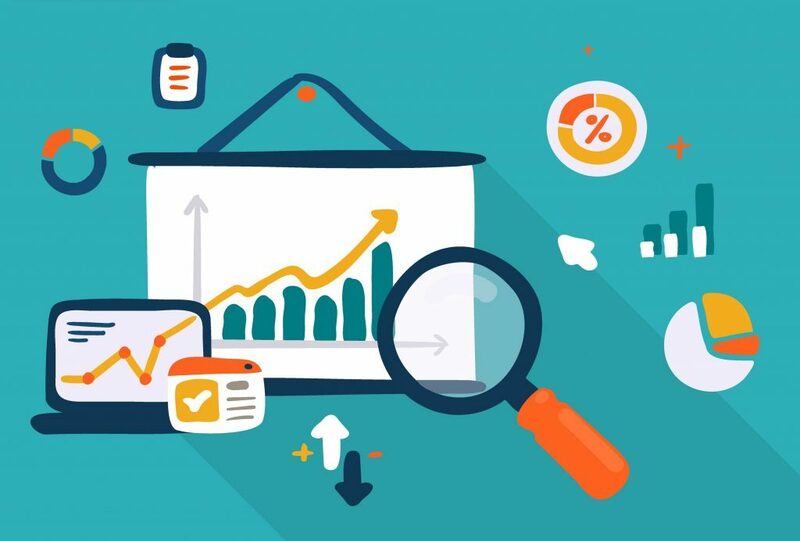 Market and Industry Research and Trends – Valuable data is commonly found within reports from third-party market research firms or within tables of information that live on websites or in PDF reports. Marketers who can unlock this data and transform it into an analytics-ready data set for better analysis can complement their campaigns and strategies with relevant and complementary market intelligence. Marketing leaders and their teams face complex reporting challenges every day. They need to analyze many different types of data from disparate sources in various formats and systems. While marketers have embraced self-service analytics solutions, many still struggle with bringing data into these systems. Self-service data preparation tools allow quick and easy access to all company data – including dark data – and facilitate rapid preparation for use in analytics tools. With this increased agility, marketers can get better insights to improve demand generation and lead nurturing streams; track detailed costs associated with activities captured in other internal and external systems; drill down on web analytics combining disparate sources; gain a competitive advantage analyzing customer and competitor online behavior and trends; and so much more. With a detailed and comprehensive view of customer data, marketing activities and costs, marketing departments can play an instrumental role in helping their organizations strengthen their brand, enhance the prospect and customer experience, and build effective programs that grow revenue.